Hardwood flooring is the material of choice for homeowners looking to augment their spaces with timeless beauty. 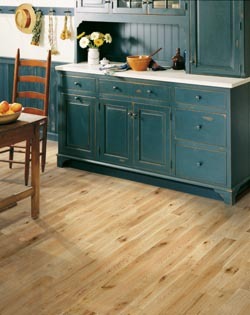 Real hardwood offers a charming, rustic feel to any room it’s featured in. Combine that with the durability and longevity that our quality flooring products are known for and you’ve got a substantive, value-adding home investment in the making. In addition, should you consider selling your property in the future, well-kept hardwood flooring is a tantalizing feature for potential buyers. We’re confident that you’ll find a top-notch floor when you turn to our specialists for your home remodeling needs. Let our team members provide you with samples of our stunning, versatile flooring options. However, our commitment to you doesn’t end once you’ve found a selection that speaks to you. Trust our seasoned installation crew to handle every aspect of the hardwood flooring installation process for you. We bring an unmatched degree of care and expertise to each job we take on. No matter what you wish to achieve with your flooring project, you can count on us to lay your new selection perfectly into place. Whether we’re replacing your living room floors or laying treated hardwood flooring in a busy or moisture-prone area of your home, you can be sure that our experienced installation crew has all of your bases covered. Contact our specialists to learn more about our premium hardwood flooring options. We’re proud to serve Great Falls, Monument, Black Eagle, Vaughn, and Fort Shaw, Montana, and the surrounding areas.